The key feature of PiBakery is the ability to create a customised version of Raspbian that you write directly to your Raspberry Pi. This works by creating a set of scripts that run when the Raspberry Pi has been powered on, meaning that your Pi can automatically perform setup tasks, and you don't need to configure anything. The scripts are created using a block based interface that is very similar to Scratch. If you've used Scratch before, you already know how to use PiBakery. Simply drag and drop the different tasks that you want your Raspberry Pi to perform, and they'll be turned into scripts and written to your SD card. As soon as the Pi boots up, the scripts will be run. For more information on creating customised SD cards with PiBakery, please see the Creating an SD Card Guide. The idea for PiBakery came about when I went to a Raspberry Pi event, needed to connect my Pi to the WiFi network there, but didn't have a monitor, keyboard and mouse. 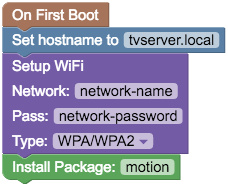 I needed a way of adding a WiFi network to my Raspberry Pi that didn't require booting it up and manually connecting. PiBakery solves this issue. If you've already made an SD card using PiBakery, you can insert that SD card back into your computer, and keep editing the blocks to add additional software, configure new WiFi networks, and alter different settings. All without having to find a monitor, keyboard and mouse. 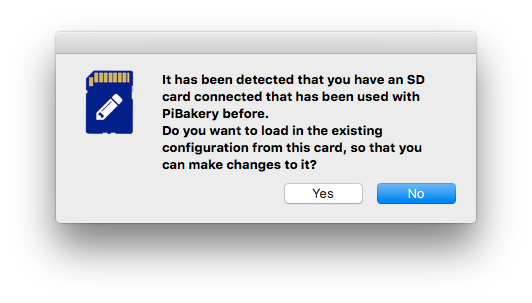 For more information about editing existing SD cards, please see the Editing an SD Card Guide. All the different blocks for PiBakery are stored on GitHub, which means that anyone who either has created software that they want to easily distribute to Raspberry Pis, or has a setup script they want to share with others, can turn this into an easy to use block, allowing others to use their software or script with ease. 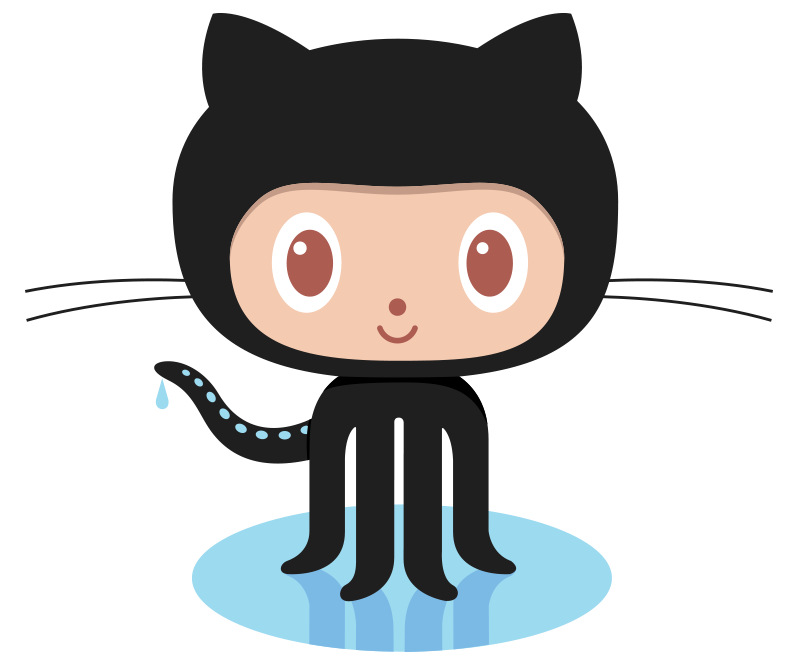 What's more, any time a change is made to the GitHub block repository, everyone using PiBakery will be notified, and asked if they want to download all the new blocks, making sure that everyone will have access to the latest software and scripts. For more information on adding your own blocks, please see the Contributing Blocks Guide. With a new Raspbian image published by the Raspberry Pi Foundation every few months, it can be hard keeping up to date with the latest version. 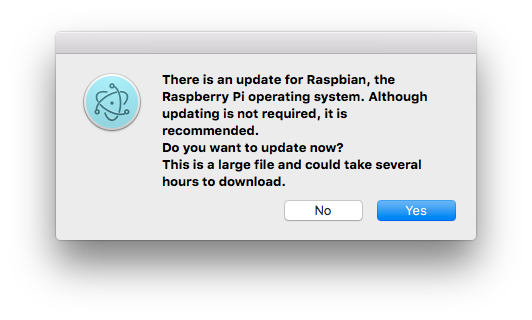 When a new version of Raspbian is released, all PiBakery users will be asked if they would like to update to this version to use for all future installs. Once you've got your perfect PiBakery setup, as well as writing it to an SD card or editing that SD card, you can also export it as an XML file, either to save for future use, or to share with others. If you publish online tutorials, why not simply provide an XML file to download that will setup the Raspberry Pi to exactly how you need it? Or if you run a Raspberry Jam or Code Club workshop, you could give attendees the XML file, which will install and setup their Raspberry Pi with all the software and files they need for that workshop, instantly! For more information on importing and exporting, please see the Import and Export Guide.